The Chamber of the Americas participants have been in an ongoing conversation about the future of international trade and business, especially as it relates to the Western Hemisphere, an area that has been largely neglected as our country attempts to reestablish its economic footing after the Great Recession and engages in a war on terror centered in Afghanistan, the Middle East and Europe as well as at home. The energy and treasure required to address these epic issues along with a continuing historic change in the American demographic landscape is creating a politically divided nation and major tensions related to the role of U.S. leadership in the world. One of the topics of conversation raised during our recent presidential campaigns is whether this country should take a step back from its predominant role in the world and focus more on an America First agenda that requires that we retrench to more exclusively national interests as opposed to favoring the economic development of other nations with the view toward creating better customers for our goods and services. One such topic, which would have substantial economic impact on the United States and our neighbors to the north and south, is the 1994 North American Free Trade Agreement already put on the table by the incoming administration. The American divorce from Britain in the 18th Century was also a separation from mercantilism, the British form of capitalism at the time. As the country’s democracy grew, so did its belief in capitalism and the practice of private ownership of goods, services and the means of production. The two notions were the principle ideologies exported by the United States as it became a world economic and military power. In the process, Americans and others realized that both democracy and capitalism needed to grow around the world in order to create greater political freedom for people and free economic markets for the business community. For America, trade agreements have had the intention of increasing economic prosperity, particularly in the third world, so that these countries in turn can afford to buy our goods and services. This practice also adheres to an understanding that capitalism has to grow constantly because it has a major role in underpinning political freedom and free enterprise. The United States currently has 23 operating agreements around the world and 23 in the proposal stage. It is also party to 17 agreements in the care of the World Trade Organization to ensure fairness in trade relations. The conversation about America withdrawing in part from its economic leadership in the world needs to take this history into consideration. More than that, the U.S. is increasingly being challenged in this regard by Eastern Asia. This note on the doorway represents a powerful message about the future role of the United States in Asia and the Pacific, where three of the five most powerful world economies are located. The pivot to Asia and the Pacific represented by the Trans-Pacific Partnership agreement is currently caught up in the division between globalization and isolation. As important as it is to fight the war on terror around the world and in the United States, we should also be in a position to provide economic and security leadership in Asia and the Pacific Rim. Withdrawing from the world stage can also lead to the United States becoming a lessor economic and military power. The tensions created by those who believe in globalism and those who believe that we should do less in the world has economic and security ramifications that we should take seriously. We should come together with compassion, bringing to mind the face and heart of all humanity and its effect on this and future generations throughout the international community. 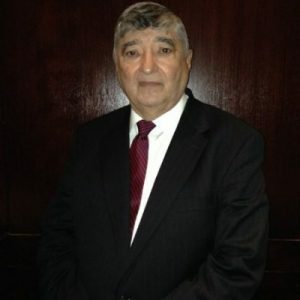 • Gil Cisneros is chairman and CEO of the Chamber of the Americas.